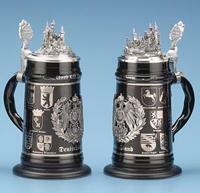 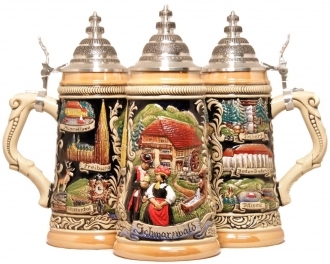 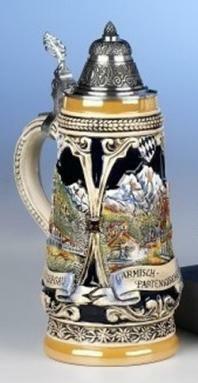 This traditional, raised relief stein features a full color knight, castle, and German crest themed design. 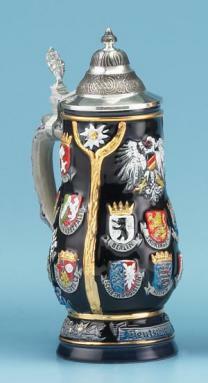 A banner along the base of the stein reads "Deutschland." 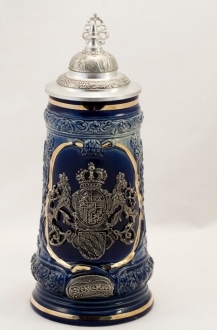 An ornamental pewter lid completes the item.